In order for the public to make informed and educated decisions regarding natural resource management, understandable scientific information is needed. It is the intent of HOK to interpret and share information in a manner the lay participant can understand and utilize. HOK will create opportunities to provide scientific data and information dissemination to the community and constituents. This is done via a variety of methods depending on the audience. 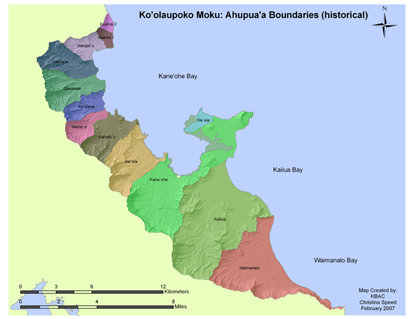 Significant data and final reports Hui o Ko`olaupoko collects will be uploaded to the website and provided to the appropriate groups such as State and Federal Agencies. 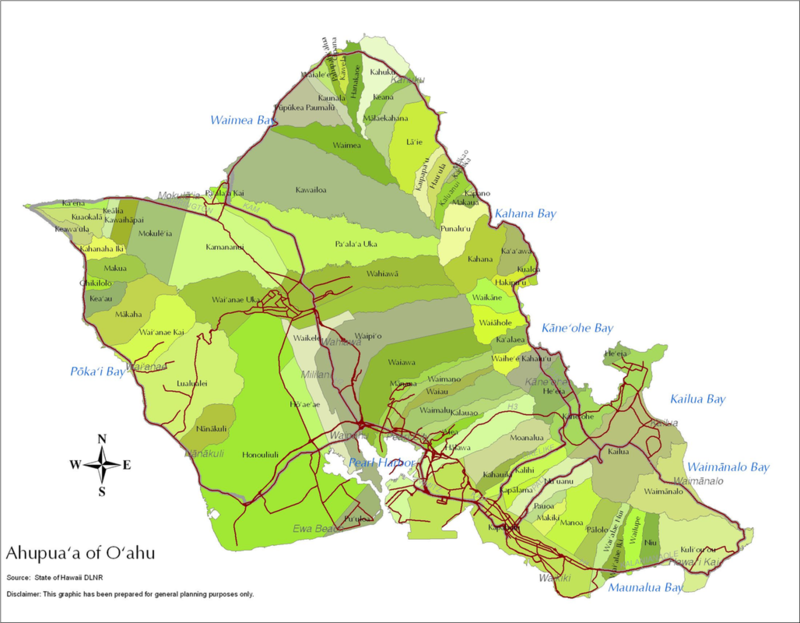 Hawai'i Statewide GIS Program - provides public records of GIS data on various subjects, including agricultural land use, wetlands, administrative and political boundaries, wind energy resource, waterfalls, and coral reefs. Streamer - USGS provides a new way to visualize and understand water flow across the nation. 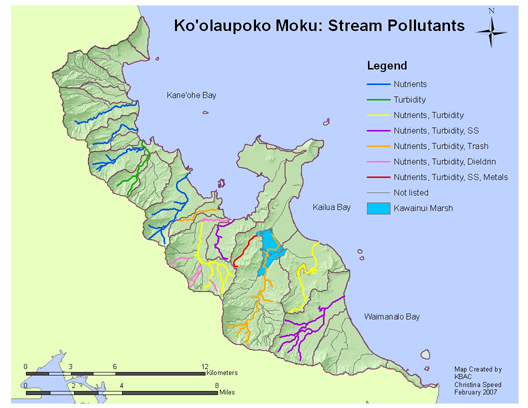 Streamer allows you to trace any stream from where it begins to where it empties out. Streamer also creates reports on your stream traces and the places the streams pass through. 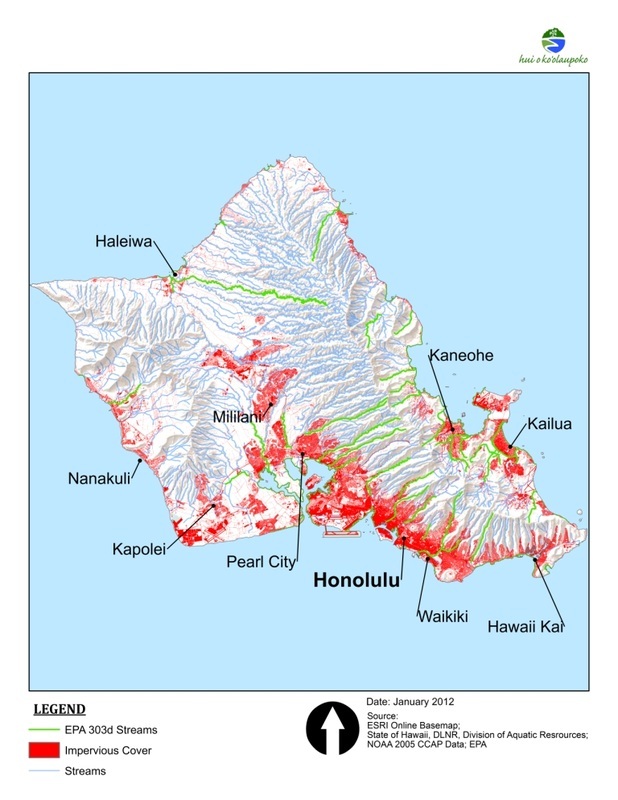 Tree Canopy - The City & Country of Honolulu made the UTC data available through its online GIS mapping tool. This tool is an excellent resource for basic planning applications, is available for anyone to use, and requires little knowledge of GIS. There are four data layers available through the tool: Tree Canopy Land Cover, Existing Tree Canopy, Possible Tree Canopy and Impervious Surfaces. Water Quality Snapshot Days are a quarterly events hosted by HOK from 2009 through 2011, organized to promote awareness and increase volunteer water quality monitoring in various communities throughout Ko'olaupoko. Participants are instructed on proper monitoring techniques and are taught to use various types of water quality monitoring equipment. Results from the snapshot days are complied and sent out to participants with an explanation of the findings.